Maple, morels, apple blossoms, and melting ice giving way to spring blooms signal it’s time to get outside and enjoy the many activities on tap in Minnesota. 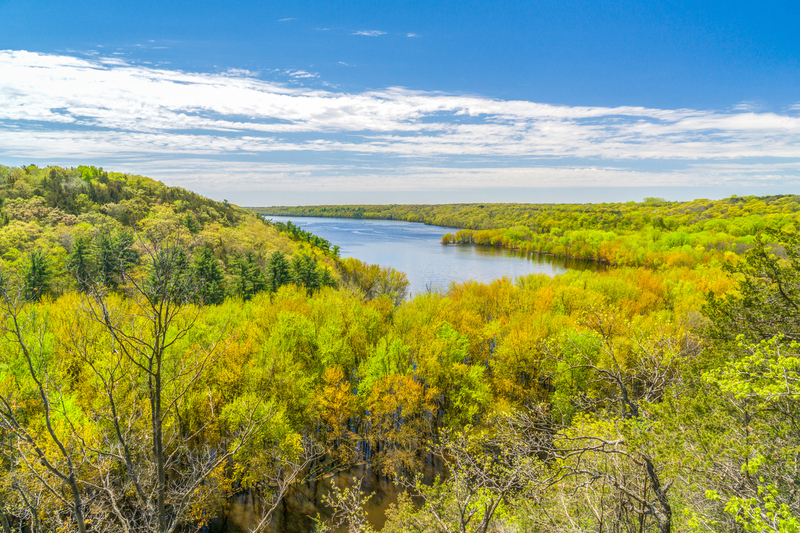 Find out what savvy Minnesotans know: spring is the best time of the year to get out and enjoy the natural bounty of the state. Visit the quaint towns of Winona, Wabasha and Red Wing in the scenic Mississippi Bluffs area. Enjoy the sweet downtowns, hotels and camping venues, cafes, and art galleries then venture out to savor the dawning of spring in the forests and lakes of the region. Bike the Cannon Valley Trail, a 19.7-mile long trail on a former Chicago Great Western Railroad line connecting the cities of Cannon Falls, Welch and Red Wing in beautiful southeastern Minnesota. The trail descends 115 feet through diverse and spectacular scenery including panoramas of the valley and views of extensive wetland complexes, which showcase the splendor of spring. Hire a guide and explore the wild rivers of the area by kayak and experience the Mississippi River’s tributaries and old growth floodplain forests. Make the drive along Old US 61 between Winona and Red Wing; it’s considered one of America’s most scenic with views of the Mississippi, bluffs, wildlife and trees coming to life in the spring. While you’re in the area, head for the Apple Blossom Scenic Highway, a 17-mile run of Highway 29 along the edge of the Mississippi River. 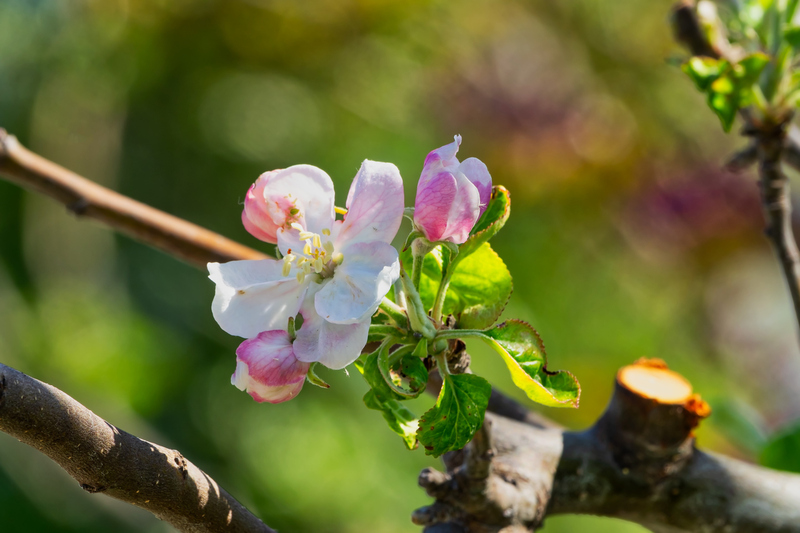 There’s no surer sign of spring than the budding apple trees on this route that passes through the towns of Nodine and La Crescent. The area is home orchards growing a variety of familiar—and some not so familiar – apple varieties and when the trees are in full bloom it is an unforgettable sight. The route through the rolling farmlands offers dazzling view of the river valley below. Stop in Great Bluffs State Park, where camping and fishing are available. Base yourself in La Crescent, where three scenic byways converge: The Apple Blossom highway, Bluff Country Scenic Byway and the Great River Road. 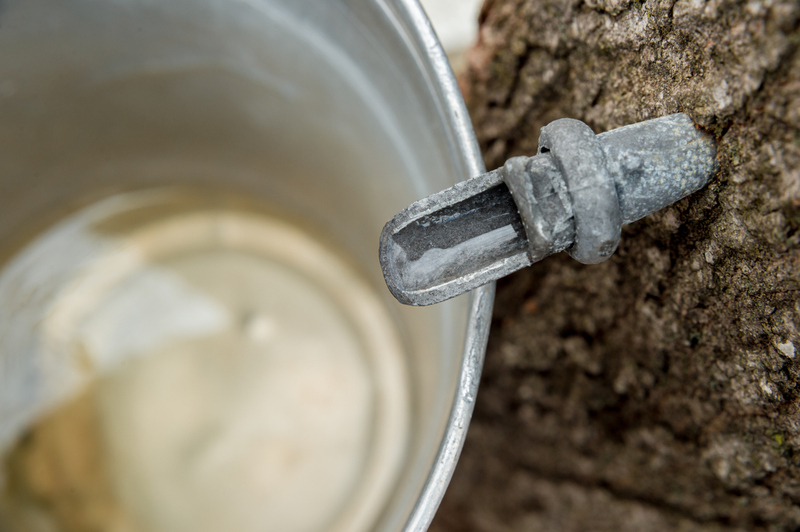 As winter begins to turn to spring in Minnesota, the sap of the maple trees begins to run. Enjoy the season-turning tradition – when daytime temperatures climb above freezing — of “Maple Syruping.” The Minnesota Department of Natural Resources hosts “syruping” events in state parks and recreation areas where you can learn the secrets of collecting your own sap to take home and boil until it turns into the caramel-colored, sweet maple syrup. When the ground has thawed, the first spring rainfall arrives, and temperatures flirt with 70, the hunt for the most prized of all mushrooms, the morel, begins. While several mushrooms can be found in Minnesota, it is the tasty morel that’s considered the prize. Find morels in southern Minnesota in late April through May while in northern regions, morels may be found into June. 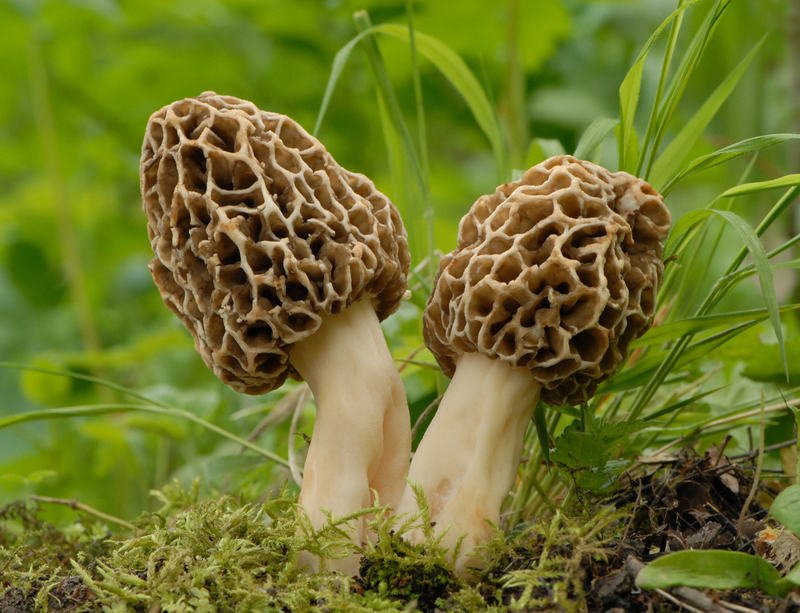 While crack morel hunters aren’t likely to give up their secret hunting grounds, the University of Minnesota offers some tips for visitors and first timers. Find morels in woodlands or on the perimeter of a wooded area; the spongy looking mushrooms prefer to grow near decaying elms, ash, poplar and apple trees. Look for south-facing slopes, burned or logging areas. Mushroom hunting is a great family activity; dress for a day of hiking and begin the hunt. 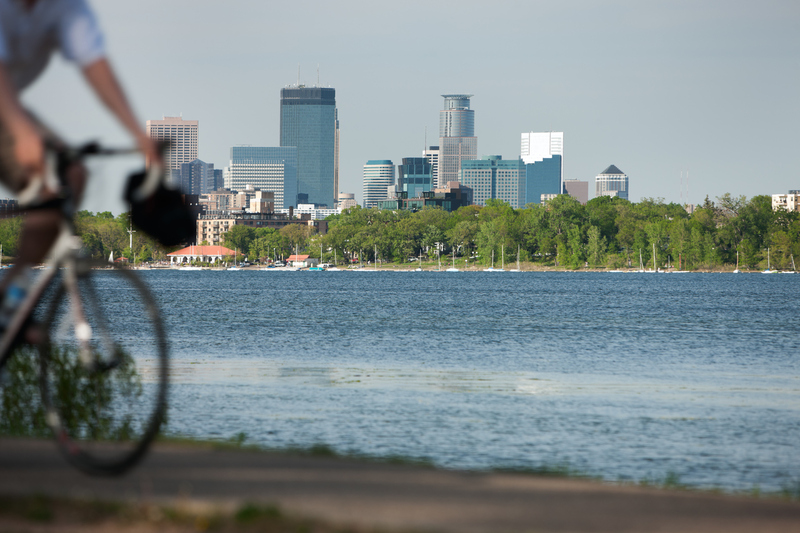 Get out and enjoy one of the 11,842 lakes of Minnesota this spring. From the end of March when the ice thaws in the south, to June when the summer crowds pile in, enjoy the best season to catch fish, according to the Minnesota Department of Natural Resources. If it’s still too cold to head out on the lake, spend a relaxing day shore fishing. Hungry from the long, freezing winter, up and down Minnesota the fish are hungry and active in the newly warmer water and ready to lay eggs near shore. 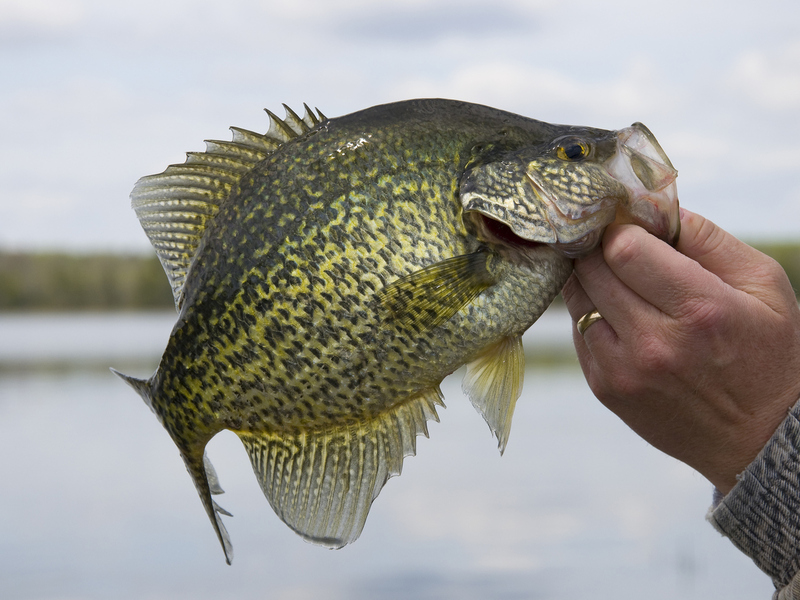 Look for sunfish and crappies after the first thaw. Walleye and Northern season opens in Mid-May, and Bass and Muskie season gears up in late May or early June. Flowing Water of Minnehaha Falls. Spring brings the snow melt, rainfall, and waterfall season to Minnesota. Falls, fed by rain and snow are at their peak in spring and worth a visit. The easiest of all to access is Minnehaha Falls in Minneapolis. 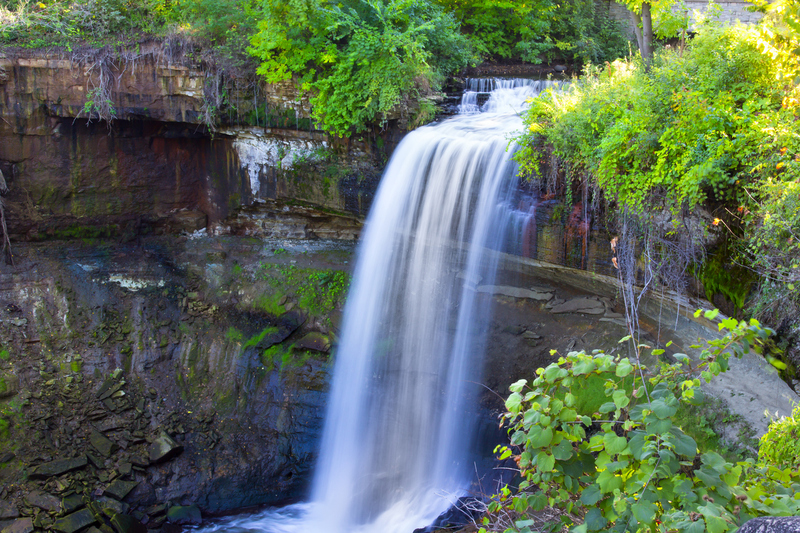 The 53-foot fall roars powerfully into spring and is so beautiful it was immortalized by poet Henry Wadsworth Longfellow who dubbed it, “the laughing waters” in the “Song of Hiawatha.” Make a day of it; the park is a great place to picnic and bike. Head up to the Canadian border to see Minnesota’s highest falls, High Falls, as it roars 120 feet down into the Pigeon River at Grand Portage State Park. In spring High Falls can nearly double in size according to Explore Minnesota. When the temperatures climb, refresh yourself with a cold beer from one of Minnesota’s craft breweries. Become steeped in Minnesota’s brewery culture with factory tours and tastings. 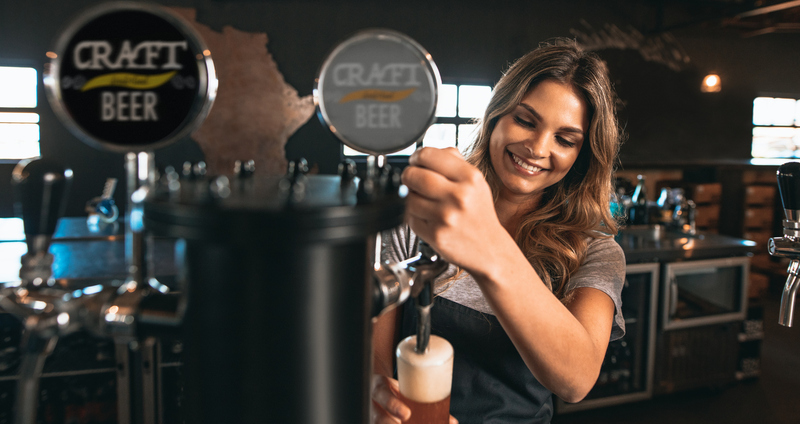 With more than 150 craft breweries and taprooms across the state, plan a driving tour, sign up for a tour with one of the dedicated brewery tour companies, or just a few hours of sampling at one of the state’s rooftop bars, where you can relax and enjoy the view. 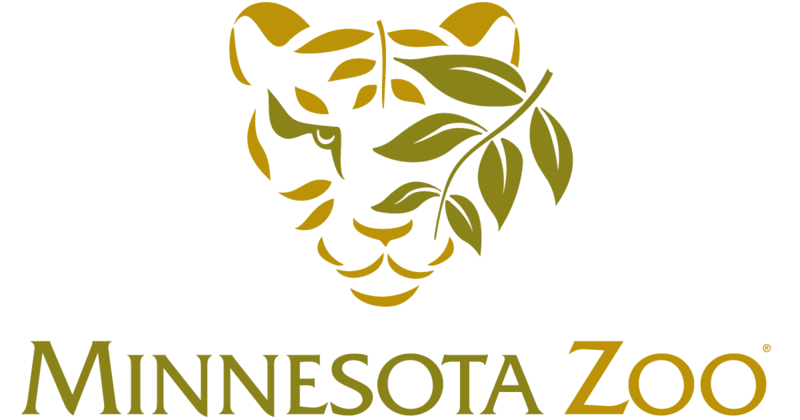 Nothing says spring in Minnesota like baby animals and there’s nowhere better to get up close and personal with baby animals than the Minnesota Zoos. With newly thawed waterways flowing, flowers blooming, and trees budding out, zoos are a wonderful way to wile away a spring day. In early spring, the Minnesota Zoo in Apple Valley showcases baby farm animals. Enjoy the season of new life at the zoo, where what’s new may have feather, fins or fur. Como Park Zoo and Conservatory in St. Paul is flush with adorable baby animals. In spring it also hosts a month-long flower show in its Sunken Garden. As soon as the spring blooms fade at the end of April, the summer show opens and runs through September with a celebration of warm-weather blooms. Wherever you roam, remember Spring is a great time to prep your RV for travels. Schedule a service appointment at M&G Trailer Sales and Service for assurance your RV is ready for amazing spring adventures.